Our Grow A Second Income X-Card is designed especially for promoting the SFI business opportunity and attracting new affiliates. These business-card-sized X-Cards sport a glossy, full-color front-side with the SFI logo, a "money tree," and attention-getting "Grow a second income" text. The ad copy reads: FRONT OF CARD: You've been invited to join SFI! 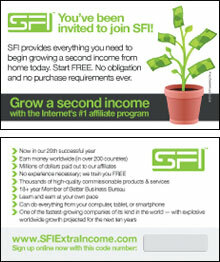 SFI provides everything you need to begin growing a second income from home today. Start FREE. No obligation and no purchase requirements ever. 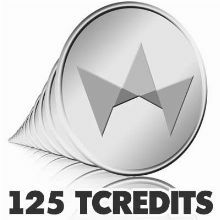 Grow a second income with the Internet's #1 affiliate program BACK OF CARD: * Now in our 20th successful year * Earn money worldwide (in over 200 countries) * Millions of dollars paid out to our affiliates * No experience necessary; we train you FREE * Thousands of high quality commissionable products & services * 18+ year Member of Better Business Bureau * Learn and earn at your own pace * Can do everything from your computer, tablet, or smartphone * One of the fastest growing companies of its kind in the world--with explosive worldwide growth projected for the next ten years www.SFIExtraIncome.com Sign up online now with this code number: [SFI ID NUMBER FIELD] ===================== To use your X-Cards, just print or stamp* your SFI ID number in the gray box located on side two. Then distribute your cards per the suggestions outlined on the Methods For Sponsoring Affiliates page at the SFI Affiliate Center. Recipient of your cards will go to the SFI Website (www.SFIExtraIncome.com) where they will be asked to enter your SFI ID number. They will then gain access to a page providing information on SFI and the opportunity to sign up immediately as an SFI affiliate (with you as their sponsor). 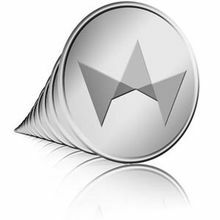 You will receive an e-mail notification each time one of your cards generates a new affiliate sign-up. Feel free to test the site: 1. Go to www.SFIExtraIncome.com 2. Enter your own SFI ID number IMPORTANT! Following these two steps will allow you to see what your prospects will be seeing....HOWEVER, do not actually re-register as an affiliate. X-Cards can also be purchased in packs of 50, 100, 500, and 1,000. NOTE: For a variety of garments and other promotional items you can use to promote SFI, CLICK HERE. You can also find additional items at our SFI CafePress store. *You can purchase a self-inking rubber stamp, customized with your SFI ID, from VistaPrint for as low as $12.99 here. YES, I'd like to pay just $11.00 now and set up this item for automatic monthly delivery. No obligation. Cancel anytime. Our Grow A Second Income X-Card is designed especially for promoting the SFI business opportunity and attracting new affiliates. These business-card-sized X-Cards sport a glossy, full-color front-side with the SFI logo, a "money tree," and attention-getting "Grow a second income" text. IMPORTANT! Following these two steps will allow you to see what your prospects will be seeing....HOWEVER, do not actually re-register as an affiliate. X-Cards can also be purchased in packs of 50, 100, 500, and 1,000. NOTE: For a variety of garments and other promotional items you can use to promote SFI, CLICK HERE. You can also find additional items at our SFI CafePress store.